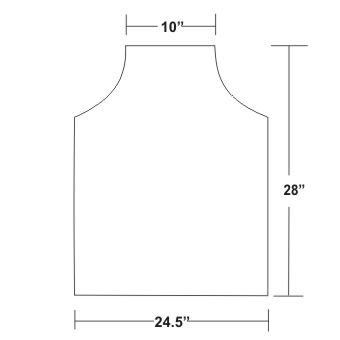 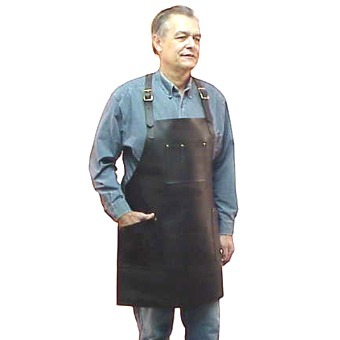 Our Heavy-Duty Cross Back Shop Apron is a version of A5 without pockets. 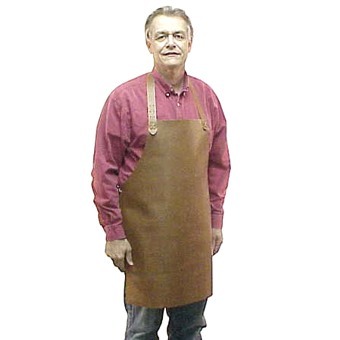 Ideal for wood turners; no pockets to fill with wood shavings. 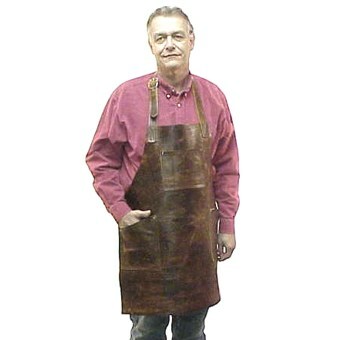 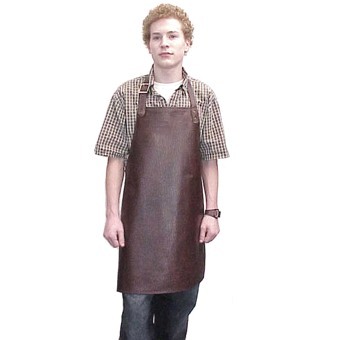 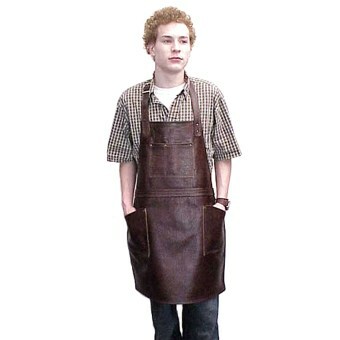 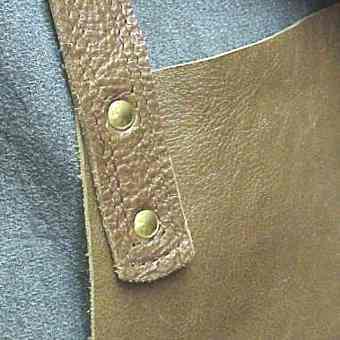 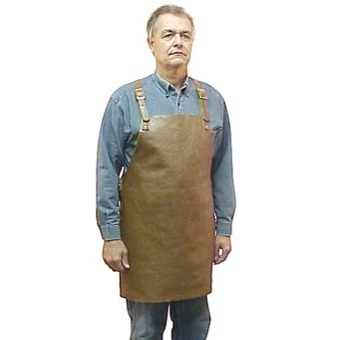 Made from thick durable cow hide our aprons protect your body and your clothing from stains, sawdust, hot metal shavings, and other workshop debris. 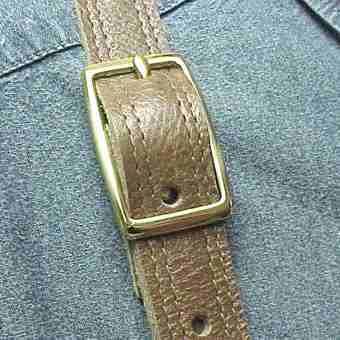 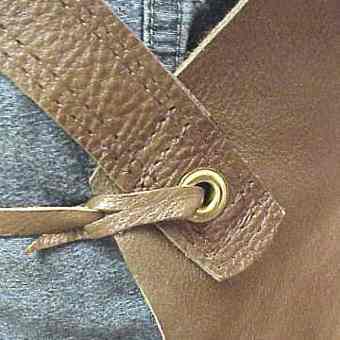 It has across the back adjustable straps (32 1/2" to 38 1/2") with solid brass hardware and a leather thong waist tie. 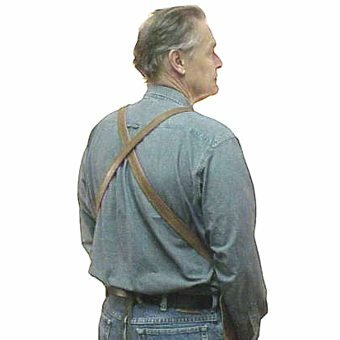 Pictured on our 6'2" model. 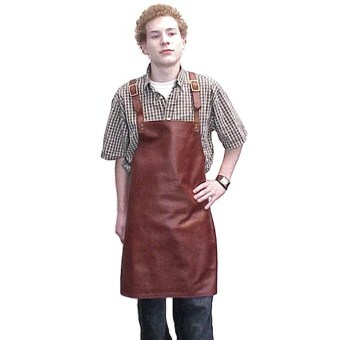 Color: Brown, color brown varies according to availability.